Hey everybody! Happy Friday!! I hope you've had an awesome week! I've been having so much fun this week sewing, working on my "shades of pink" collection (I'll be sharing fabrics and ideas soon) and participating in #coloruscreative! Its a daily photoshop challenge created by Tabitha Sewer taking place over on Instagram. It's so much fun and everyday more makers are joining in! The photo post for today, Day 6, is books. Building my own sewing library is great and has helped me learn so much while learning more about sewing. My book collection is small but steady growing. I recently purchased 4 new books and decided today is the perfect day to share and chat about what I love about them! This first book I bought on recommendation from Erica Bunker and I absolutely love this book. Fast Fit, is fantastic because it gives you an illustration along with a detailed breakdown of the problem. Then it follows up with the fast fit solution and step by step solution to fix the problem. I LOVE when things are broken down in steps. This book is awesome and I've really enjoyed referencing it since I've had it. The next two books I purchased on recommendation from Emily Hallman. 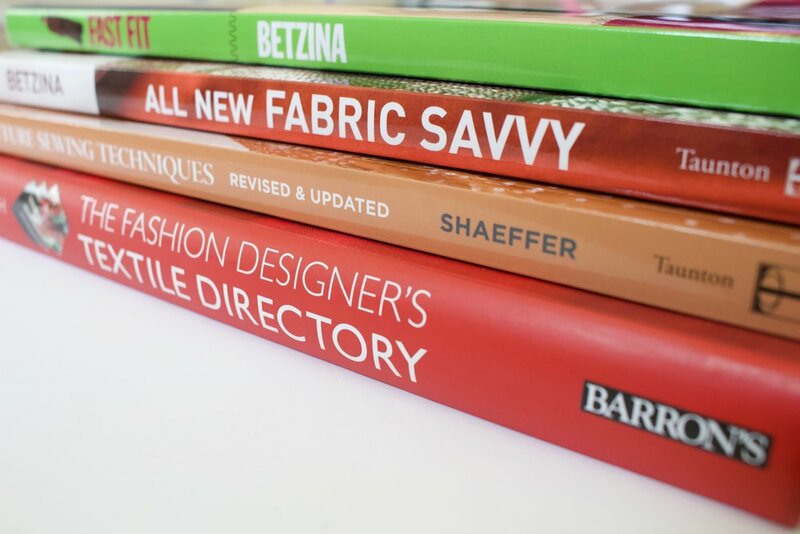 I noticed that I have a lot of fit books, but I was lacking books that talked about fabrics. I don't know why I never purchased a book that explains fabric content but I didn't. So while reading this blog post by Emily, I immediately ordered these and I'm in love! 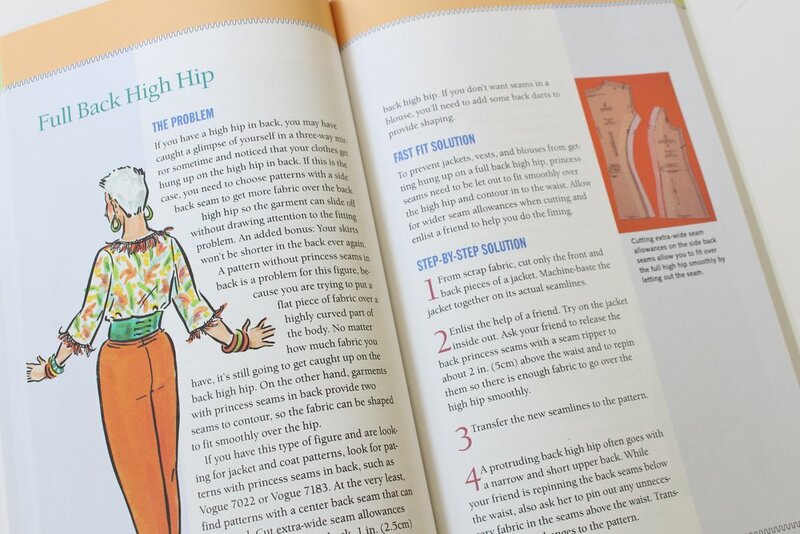 The Fabric Savvy book is probably my favorite book! The book is full of many different fabrics, their contents, the projects they are suitable for, proper marking, cutting, interfacing to use, proper needle, stitch length, presser foot....simply put...it's an AMAZING book! I absolutely love it and so glad I've added it to my library. Fashion Designers Textile Directory is another awesome book! I really haven't had a chance to dive completely into it but from the skimming I did do, it breaks down fabrics in a great way explaining them, their strengths, weaknesses, fiber contents and so much more. I really love that these images are of designer looks on runway models. 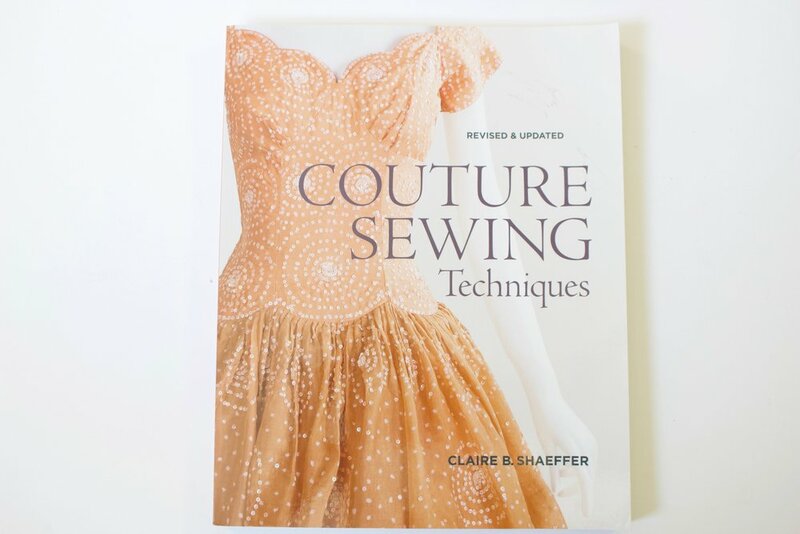 The last book that I'm sharing is a really popular one and its Couture Sewing. This book is another great one! It breaks down the basics of couture sewing and then walks you through applying those couture techniques to projects like pockets, skirts, and jackets. 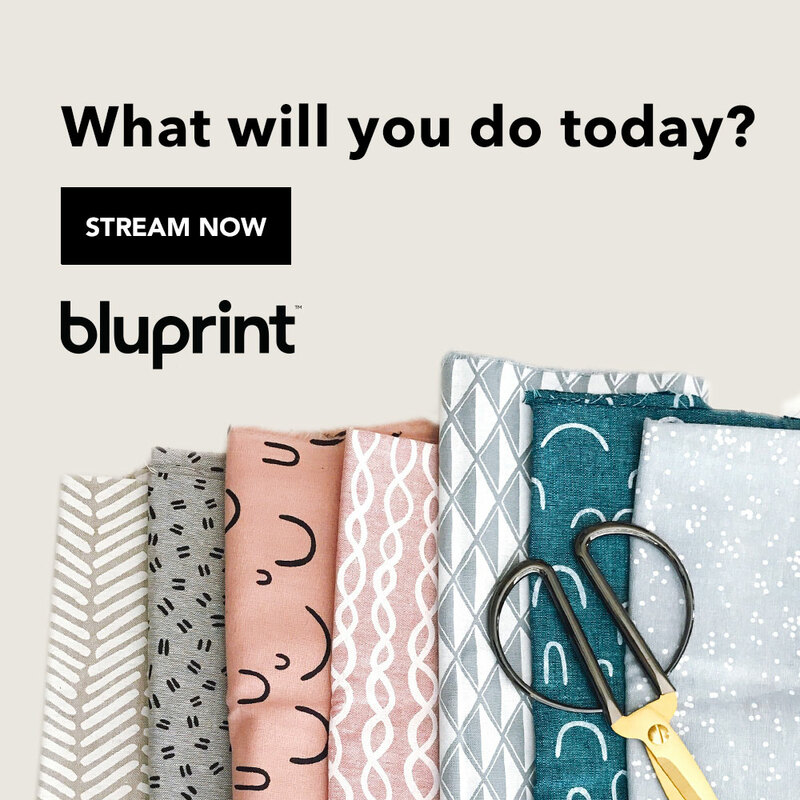 I purchased it to really learn more about finishings and how to overall improve my sewing. I'm so happy with my growing sewing library. I love being able to have great books to reference and help walk me through problems I get stuck on or difficult questions I have that I need answers to.